Colerain Twp. – Henry Mueller. Beloved husband of Esther B. Mueller for 66 years. Devoted father of John Mueller, Michael (Marlene) Mueller, Anton G. (Lisa J.) Mueller, Becky (Mike) Bayer, and Karl (Joey) Mueller. Loving brother of Christa Petru and Berta Ausra. Also survived by 13 grandchildren, 23 great-grandchildren, and many nieces & nephews. 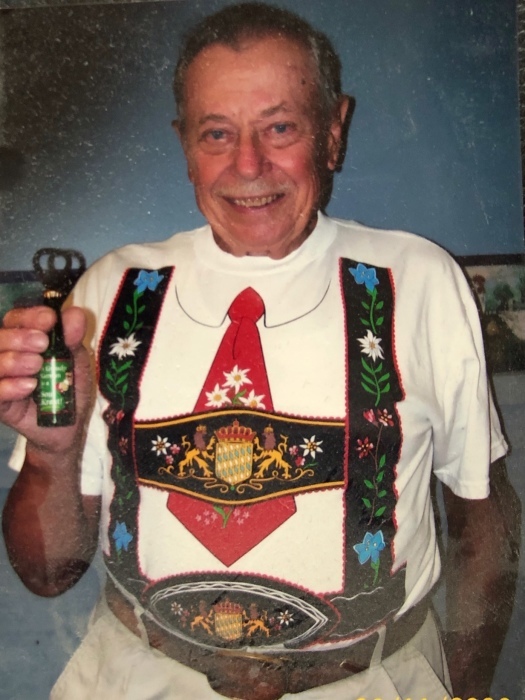 Henry passed away on April 3, 2019 at the age of 88 years. Member of the Fraternal Order of Eagles (Post # 2193) and the Bavarian Society. Visitation will be held on Tuesday, April 9th from 10 AM until time of the Funeral Service at 12 PM at the Paul R. Young Funeral Home, 7345 Hamilton Ave., Mt. Healthy, OH 45231. Interment to follow at the Arlington Memorial Gardens. Memorial donations can be made to Hospice of Cincinnati. Online condolences can be made at www.paulyoungfuneralhome.com .